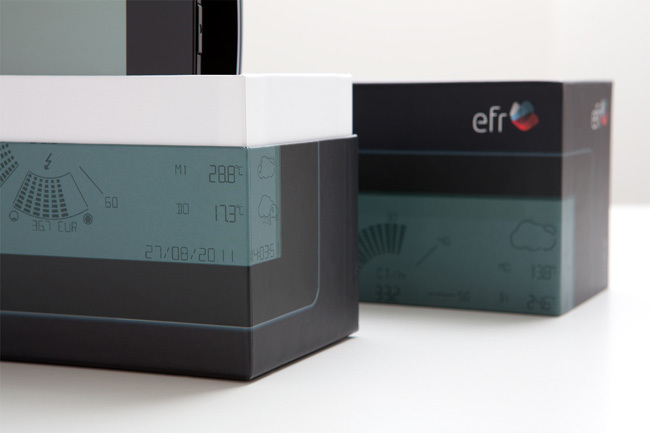 Designed by SQUIECH Design, Germany. EFR MeterLink, HomeDisplay, HomeAnalyser & Co. form a powerful modular system for all fields of application concerning Smart Metering. 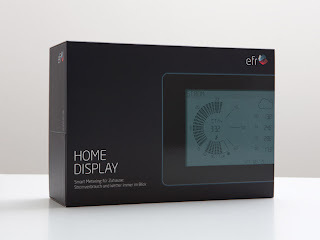 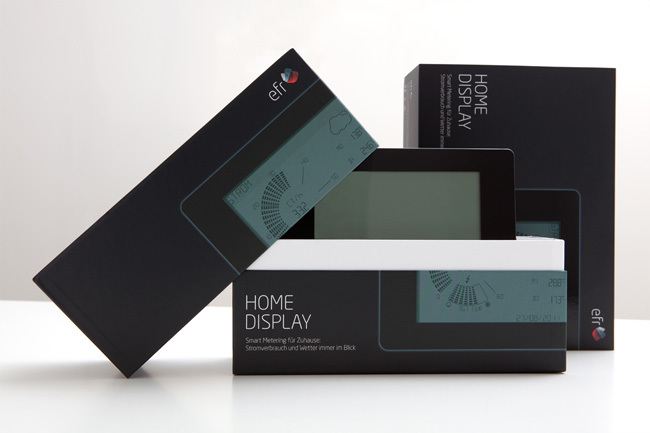 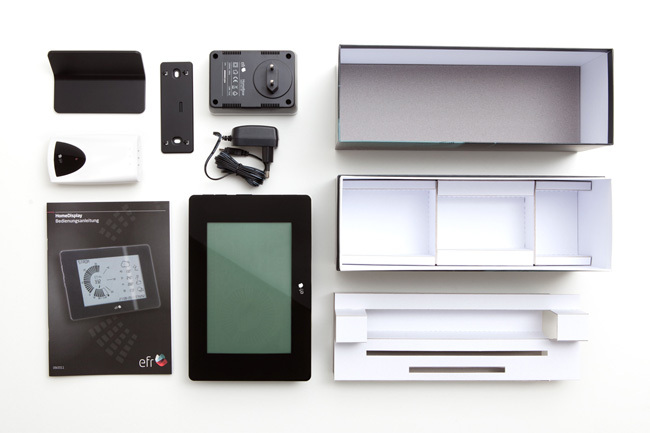 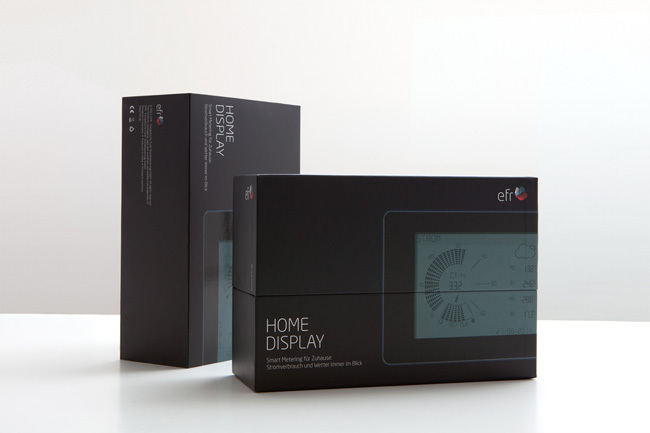 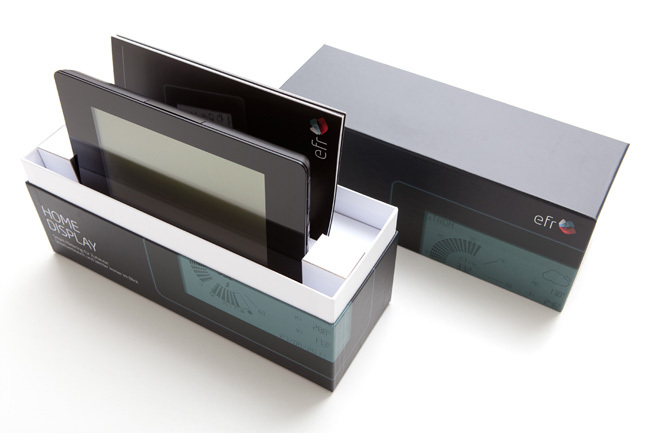 The EFR HomeDisplay brings the consumption data right into the client's living room - and catches his attention by providing substantial additional information. 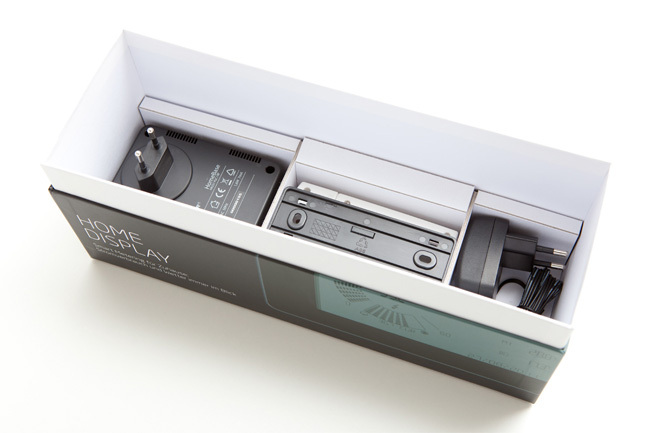 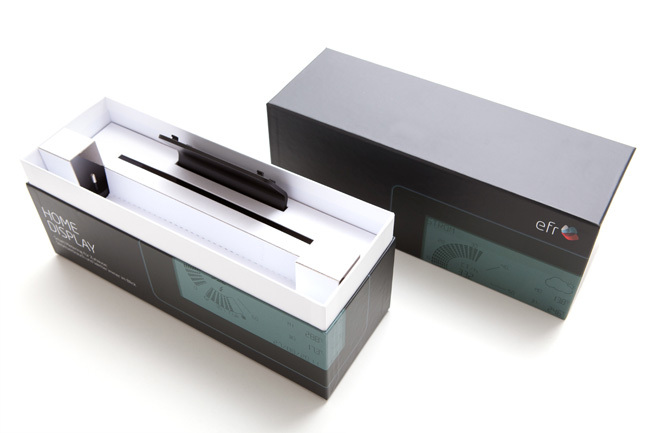 To present this high-end technological gadget to the customer, SQUIECH Design developed an elaborate packaging concept and covered the complete project from concept and first scribbles, 3D-visualization und dummy production to layout and graphic design, final artwork and pre-press operations.